The skeleton is the key to learning about the body, and Build the Human Body offers one of the coolest learning experiences around. The ancient Greeks had it right: “Know thyself.” One of the keys to knowing thyself is knowing how the body works. Build the Human Body will teach you about the body’s building blocks, help you build its framework, and show you how to map the organs. 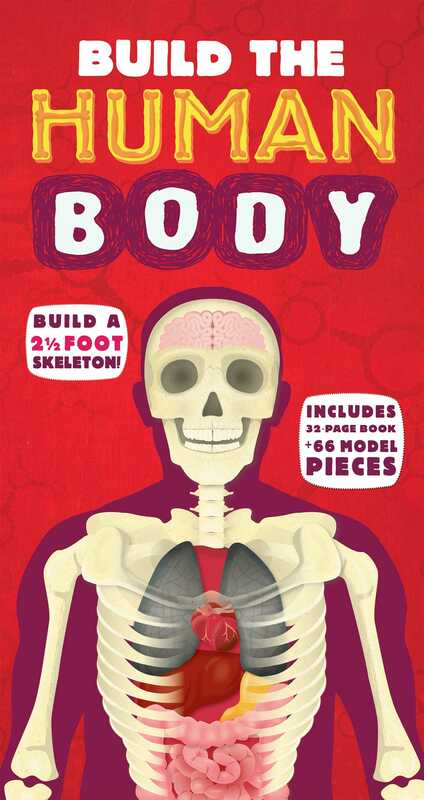 Have fun while learning, and see the human body like never before through colorful illustrations, fascinating facts, and by building your very own human skeleton. Richard Walker, BSc, PhD, trained originally as a zoologist and gained his PhD in physiology and biochemistry. Richard taught both secondary school and university students for a number of years before embarking on a successful career as a writer and consultant. His books include Kingfisher Knowledge: Human Body (Kingfisher, 2006), Your Amazing Body (Carlton Books, 2008), and Eyewitness Human Body (Dorling Kindersley, 2009). Mark Ruffle was born near Bristol in 1973. He graduated from the University of the West of England with a degree in Graphic Design in 1995. After leaving college Mark worked as a visualizer, then in 1997 started working for Oxford University Press as an Art Buyer. Mark has been freelancing since 2000 and has enjoyed working for a wide variety of clients including Aardman, producing illustrations for Flash. He has designed and illustrated web content for the BBC to accompany television programs such as Hustle, Holby City and Bleak House. Mark works in Adobe Illustrator and is equally happy drawing illustrations for books, packaging, advertising or animation.